Most recently: Oliver has been teaching photography classes in Los Angeles, and some of his photographic works have been put in galleries and exhibitions. He is respected for his knowledge of 19th century photography techniques and has written a book called "A History of the Woodburytype: The First Sucessful Photochemical Printing Process of Walter Bentley Woodury" (2007). He was also involved in the wet plate photography for the movie Cold Mountain (2003), and is one of the 10 featured emerging photographers in the 2007 Silverstein Photography Annual (SPA). He has also worked with the Huntington Library to produce a short film "In the Usual Manner," where he demonstrates the wet plate photographic technique and provides audio commentary on the process and his experience. Recent photos of Barret Oliver are available all over the internet with a basic image search. We don't post them here out of respect for his anonymity. Welcome to the new and improved BOA. Thanks for coming. This site is in blog format, so feel free to add your comments to any page you like. You can consider this the home page. New features will include a video section for Barret Oliver videos on Youtube, easier access to the galleries, no more site overloads and down times, and easier/faster movement around the site. Please lend your comments, and enjoy your stay! The old site is now gone, with the closing of Geocities. It had a good run. Barret Oliver --once famed child star, now successful photographer and teacher of photography-- appeared in many television and film roles though out the 80's. His talent and charm have been kept alive by his fans. Welcome to the Barret Oliver Archive. 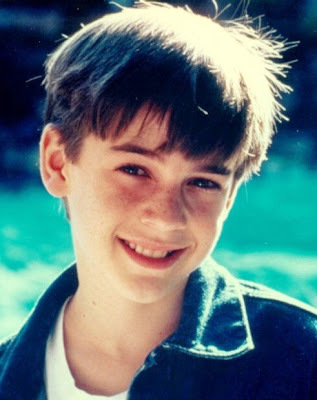 This website is an unofficial internet resource archive of some Barret Oliver articles, pictures, and personal information, and information about his current career, set up for the appreciation and remembrance of a great child star.